Recently I was looking for some free textures. While it’s easy to find “free” textures it’s not easy to find free textures that are really free. A lot of sites that give things away for free often have stipulations that they’re only free for personal use. Yeah, right! Like I need those free stock images for the elearning courses I’m building at home. Today I am sharing some sites where you can find free textures (and other assets) that can be used for commercial work. Since the licensing terms may change, be sure to read them before using for commercial projects. However, at the time this post was published all of the sites allow free commercial use. Lost & Taken: lots of cool textures. I really like the quality of what they share. 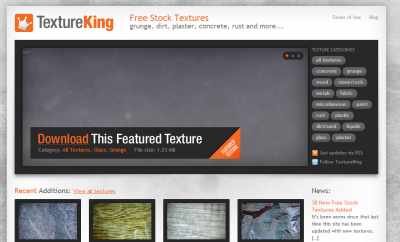 Texture King: not a massive selection, but they’re high quality. Design Instruct: another great collection of free textures. Also has some good articles on design. Media Militia: all sorts of cool free assets to go with the free textures. Deviant Art is also a good resource. They have a lot of members who give away free assets. But you’ll have to look over their agreements individually. 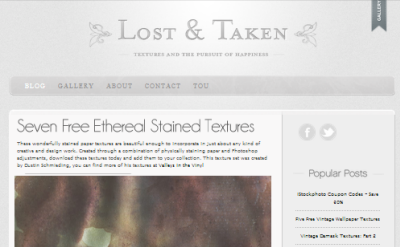 If you search, you’ll find all sorts of other sites to find free textures. What I found though is that most of them pull from the four sites above. So why not go to the source? The sites above are vetted and should be good to go for your next elearning course. If you’re a user of free textures (or other free online assets) be sure to give props to the person who provided the resources. Share the love via a blog post. Or perhaps you can tweet the link or make a comment on Facebook. How do you find free textures that are free for commercial use? Share your comments here. Love the links and the humor. 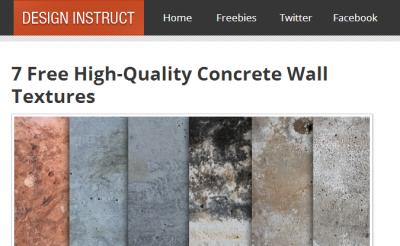 Don’t take this out of context-ure…but it seems like creating your own texture collection of counter tops, sand paper, beaches, rock pikes, concrete, sidewalks, home siding, and tree bark might be easier than trying to find textures free for commercial use. @Greg: agreed, I do that quite often. But if you’re in a cubicle looking for something specific, it’s not always easy to create your own texture. Do you have any recommendations for quality textures or backgrounds to buy to use commercially? Not everyone has to get everything for free. Thanks for the links! One site I love to use is Flickr, which I believe you’ve talked about many times. You can sometimes find nice textures there available under the Creative Commons license. Another resource that is related to this is “UI Parade” (uiparade.com). It has beautiful user interface elements, like buttons, text boxes, and volume knobs that are inspiring. I use them as models to create my own buttons and other assets just using Powerpoint’s image creation tools. @Rachel: if you want to buy textures and backgrounds you can find plenty at places like iStock and Shutterstock. Thanks for the links. The first one has some really nice textures that are clean and very elegant. 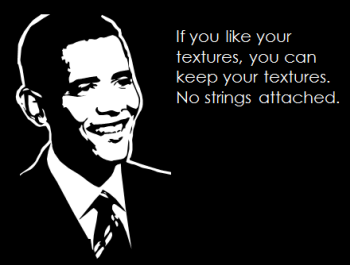 I really like Texture Toolkits by Digital Juice. Each kit comes with over 1,000 textures. Keep your eyes open around the holidays as they run some really great deals. 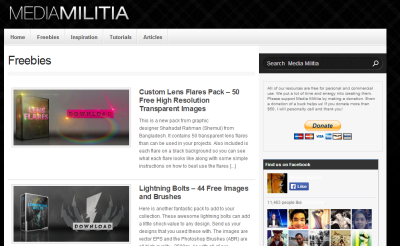 I stumbled onto Media Militia awhile ago and just love their freebies because they have a bit of an edge to them. I am still looking for an opportunity to use the hand drawn skulls. I didn’t know about some of these other sites and am looking forward to checking them out. Thanks Tom. Off-topic question Tom…do you have any upcoming workshops beyond the listed December dates? Thanks for your help! Your blog is such a great asset! Thanks for the quality ‘freebie’ sources. It was your opening line ‘A lot of (stock images) sites that give things away for free often have stipulations… etc.’ that caught my attention. I’ve just been most annoyed by a site offering free stock images. As the offer came via a ‘trusted partner’ link, I signed up but was then asked to supply my bank account details – for ‘free’ images?. I cut the link. I was looking for sharp images, not sharp practice. I appreciate all the good people on the Articulate network for their good company and advice you can use. Regards, Bj. @Connie: I’m still working on some dates and locations. I’ll be in Phoenix in March. Boston?? I’m also going to try a few different things this next year and we’r still working on those details. Where are you located? Thanks Tom. Please post more info as you have it. It’s always a plethora of good information when you are speaking! 🙂 I live in Phoenix. But travel often so sometimes catching you elsewhere is easier…believe it or not! I look forward to more info as you get it. Thanks! Nice information, Keep it up!! !